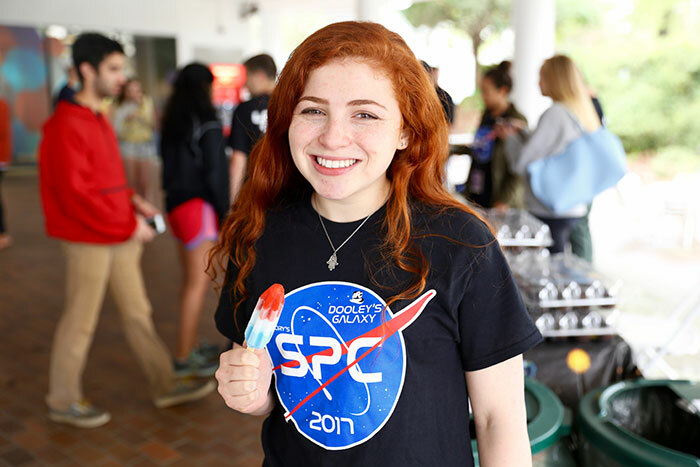 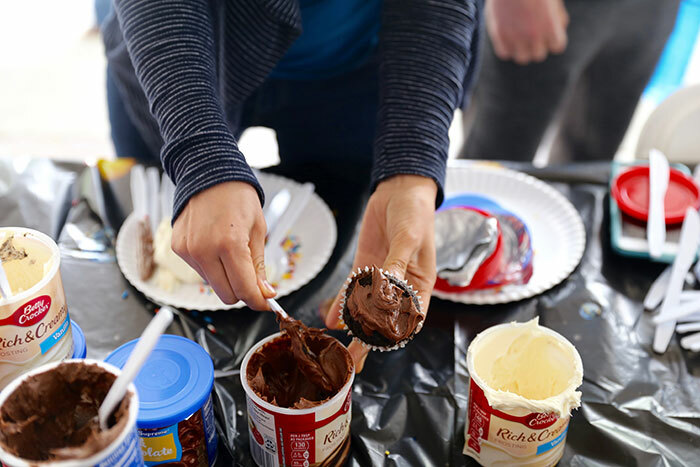 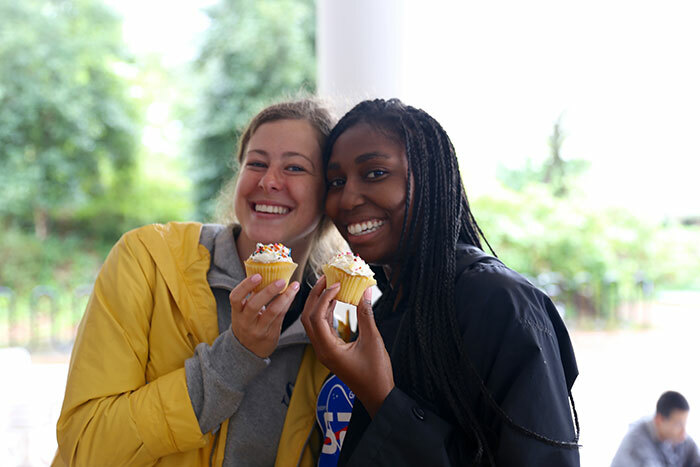 Dooley's Week got underway with the "Blast Off" party Monday on the DUC Terraces. 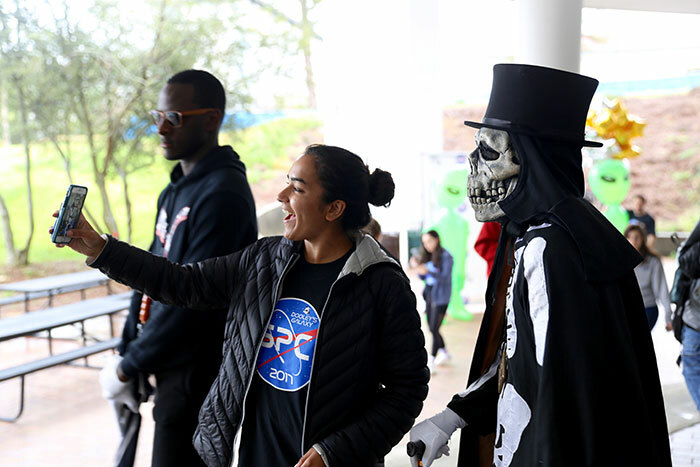 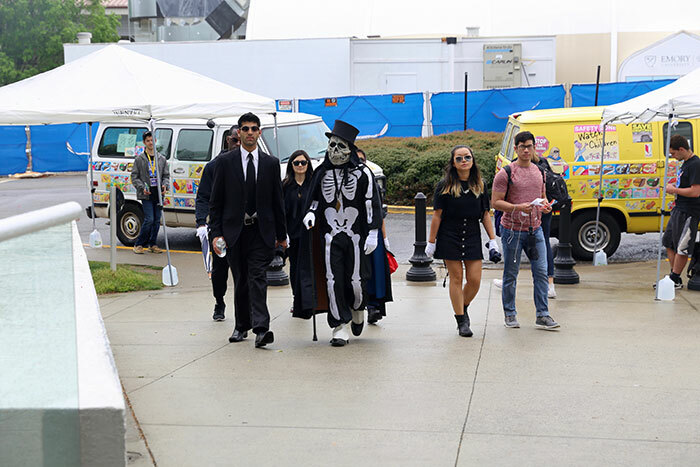 Bad weather couldn't dampen the fun as Dooley's Week 2017 got underway Monday with "Blast Off," complete with ice cream, cupcakes, other giveaways, and of course, an appearance by Emory's resident skeletal spirit, Dooley. 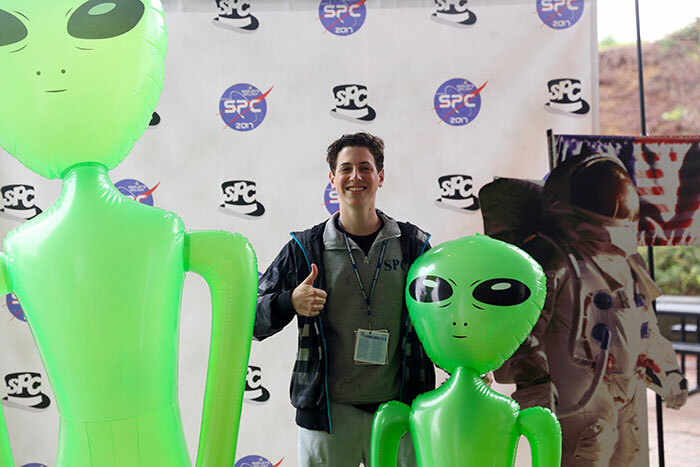 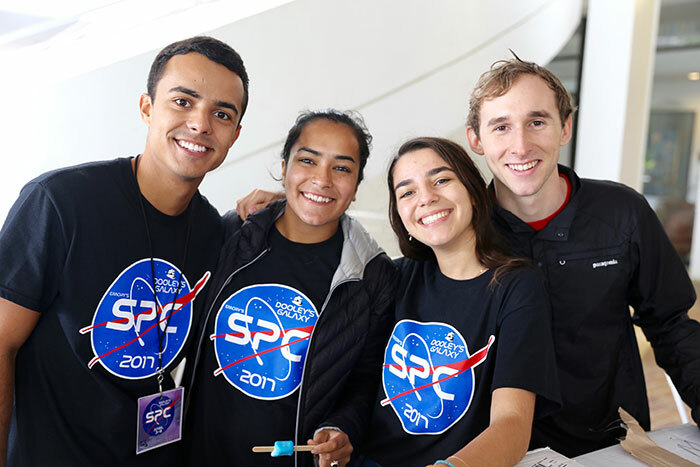 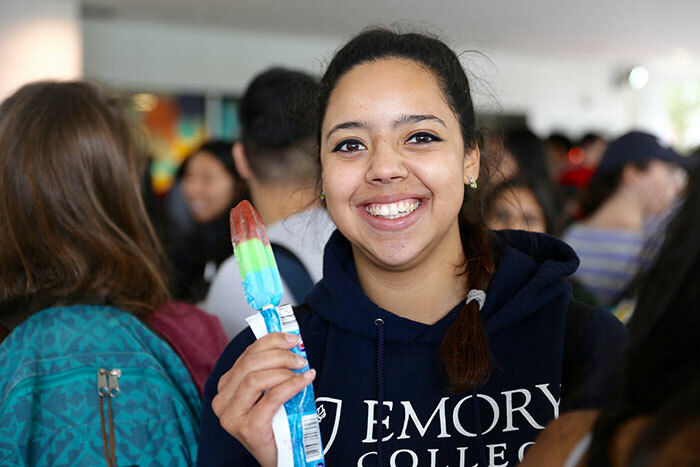 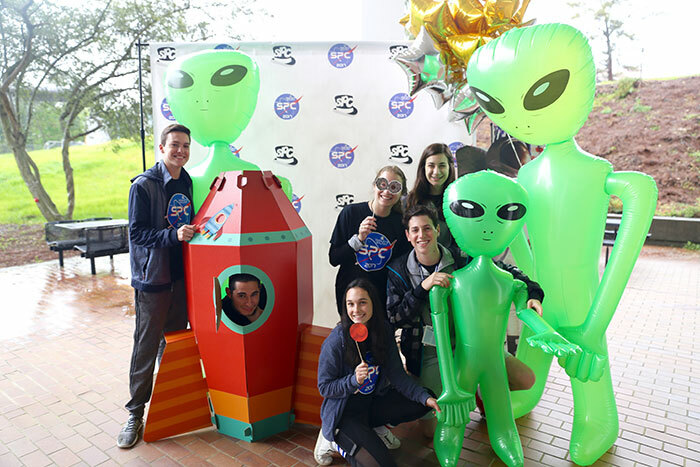 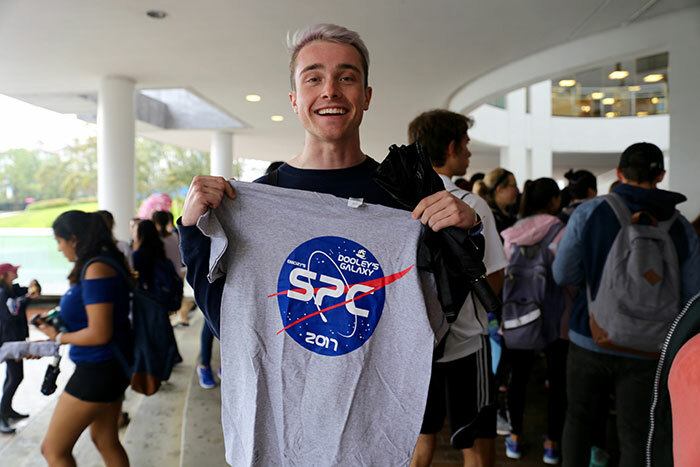 This year's theme is "Dooley's Galaxy: Where the Afterlife Is Out of this World," and events continue throughout the week, including food trucks at Taste of Emory on Tuesday evening; Couchella, Emory's own music and arts festival, also on Tuesday; a performance by comedian Nikki Glaser on Friday; and much more.